"America's founders declared that our republic and its Constitution were established by the hand of God. They emphasized that He will continue to bless our land only if we are a moral and religious people who govern ourselves by the inspired principles of liberty and union." The National Heritage Center for Constitutional Studies adopts the mission statement of the National Center for Constitutional Studies. We are "dedicated to teaching the principles of liberty and union in the tradition of America's Founding Fathers." May we help reconnect you to the roots of the American Republic? NHCCS Is Proud to Offer . . . Ever wonder how America rose from 13 fledgling colonies to become a world power? Did you know she became a world power in less than 200 years? Did you know our Constitution is the longest running, political document the world has ever known? Are you curious as to the political philosophy in which the Constitution is rooted? 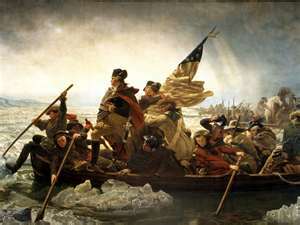 Are you curious as to what moved and motivated our Founding Fathers to do as they did? Who they were? What they were like? Where they got their ideas that made America GREAT? Then the NHCCS seminar OUR MAGNIFICENT CONSTITUTION is a must for you! In Celebration of. . .
"The Original Intent of the Bill of Rights . . . Then and Now." Please plan to join us as we gather to keep our founding documents relevant! At this 227th Anniversary of the ratification of the American Bill of Rights. Admission is free - But space is limited - Registration of intent to attend is recommended. KNOWLEDGE is the ONE TRUE SOURCE of personal liberty! NHCCS accepts no government funding. Please consider a tax deductible donation today to support the work of NHCCS! You can help support NHCCS when you shop AmazonSmile.com. Simply bookmark the link given below and use it to start your shopping with Amazon.com. AmazonSmile will then donate 0.5% of the purchase price of eligible AmazonSmile purchases to NHCCS. AmazonSmile is the same Amazon you know; the same products, the same prices, and the same service. Dr. Lee Button, formerly of NHCCS. 16 hr walk through the Constitution for the United States of America. This course is offered both as an onsite course	and by webinar. The Student iswalked through the 7 Main Articles of the Constitution with referenceto the 27 Amendments. 6 hr study of the three major events that trampled the Founding Fathers plan for a limited government. Ratification of the16th & 17th Amendments, & the creation of the Federal Reserve. Who were the political actors most responsible for bringing about those two Amendments? What Place the NLRB Under the Constitution? Constitutional Mandate for Uniform Taxation - Class War Fare Unlawful! * So You Got Elected to Public Office...What Now? 16 hr study covering 2 of the 3 Great Compromises of the Constitutional Convention. Video based training embellished by interactive power-point discussion. Is there a topic you would like to hear more about? Do you need to be reconnected to the roots of the American Republic? 4 hr study of the non-delegation doctrine. How the Progressives conveniently ignored this principle to jettison the Separation of Powers and the Check and Balance doctrines upon which the Framers rested the Constitution & the safety of the people. You can reach us at: 603-734-5933.
the Constitution / Constitutional Government & the American Founding! Click on the icon below to add your name to our current list of subscribers! Click here to read back issues of Original Intent. We do rely on private donations from people just like you! All donations are applied toward accomplishing the NHCCS mission. NHCCS has NO paid staff! Click here to make a tax-deductible donation to NHCCS. America Has A Glorious Heritage - Every American Should Know It! We would be happy to speak at your function. WHY IS AMERICAN GOVERNMENT SO STABLE? WHAT MAKES OUR FORM OF GOVERNMENT UNIQUE? This IS what every American needs to know to keep America free. It is the DUTY of every American to know their history! National Heritage Center is an educational, 501 (c) (3) non-profit organization. We take no government funding ~ We do rely on private donations from people just like you!